Spanning the width of your underwater dual tray and lighting arm system, this Cable Top Handle for Ikelite Compact Digital and DSLR camera housings provides a convenient carrying method. 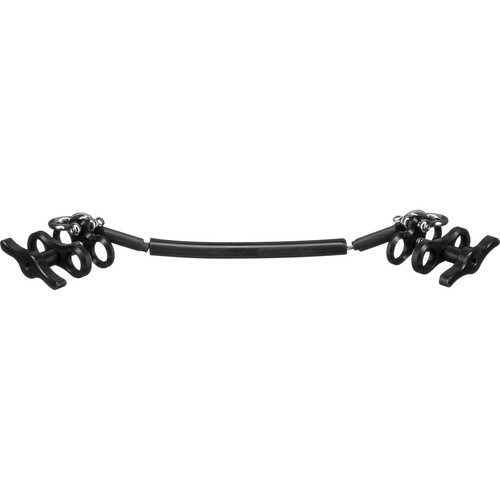 It is a lightweight, stainless steel cable with a rigid rubber overlay. The cable top handle includes two anodized aluminum ball clamps with auxiliary mounts and two stainless steel bow shackles, in addition to the cable assembly itself. Box Dimensions (LxWxH) 6.9 x 6.6 x 2.3"